Say good-bye to eyeliner that won't stay put and to being limited to basic colors. 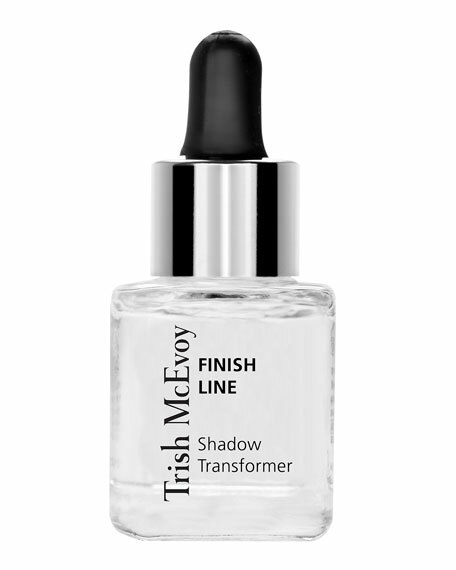 A drop of this transparent waterproofing elixir converts powdered eye shadow into a liquid eyelinerand seals the line to make it last. To use, pour one or two drops into the bottle cap, dampen eyeliner brush in liquid, then fill brush with color, stroking along the outer edge of pressed eye shadow.